Alberta commuters will have more options when it comes to getting around thanks to a new public transportation program that invests in green transit throughout the province. 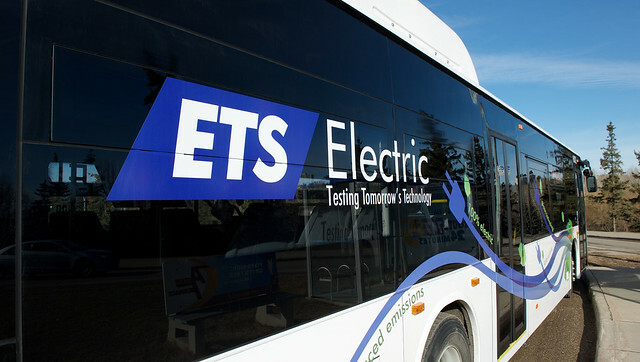 Electric buses, like this one from the City of Edmonton, will be eligible for the Alberta Community Transit Fund. The $215 million Alberta Community Transit (ACT) Fund will be available to municipalities, Métis Settlements and transit commissions and authorities to invest in low and zero-emission transit vehicles, and increase transit ridership across the province. This will help reduce overall emissions and give more Albertans the option to use public transit. "Investments like this provide the City of Edmonton and our region the opportunity to offer sustainable transit options to citizens. We're pleased that the provincial government recognizes the importance of commuter options and we look forward to future investments that will ease congestion as we grow." "There is a real need for investment in transportation, especially to connect villages, towns and cities. Whether it’s seniors trying to access essential health care, students travelling home to visit family or people trying to access jobs, connecting our various communities with safe transportation is essential. This is an important step and we look forward to continuing to work with Alberta Transportation to move ahead on these kinds of investments." The ACT Fund provides a total of $215 million in funding over five years for Alberta transit projects; $115 million of the grant fund comes from Alberta’s Climate Leadership Plan. It is a merit-based program that will score each project based on regional collaboration, and environmental, economic and social benefits.